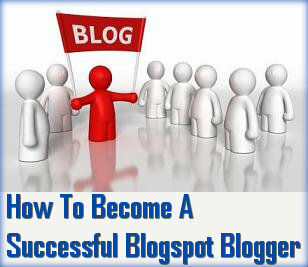 As a beginning blogger it is not uncommon to be obsessed over your web traffic and comments. Of course you want a lot of people coming to your blog, a lot of people linking to you and you naturally want as many people as possible commenting on your posts. That doesn’t mean that you have to check your stats every 10 minutes. This habit will waste you a lot of time that can be channeled in much more productive activities for your blog. Set aside a time of the day where you check your stats. My suggestion would be twice a day. Once in the morning and some time late afternoon. Use that saved up time for producing more content or networking with other bloggers. When people are leaving a comment behind on one of your posts, see that as a compliment. They were emotionally compelled to leave feedback behind, good or bad. What I see is that most bloggers never respond to them. If there is one big thing that helps in building loyal readers, it is responding to comments on your blog. It shows you care about them, even to readers who didn’t leave a comment behind. Don’t go overboard with responding to every single comment, but definitely respond to comments that are requesting your opinion or respond to commenters who leave valuable comments behind. If you don’t know how to respond then a “thank you” can go a long way. It is a common mistake for new bloggers to start publishing a lot of content in the beginning phases of the blog and then take a break. That’s the wrong mindset to have and a bad habit. Avoid a “blog hiatus” as much as possible. You don’t want your posting schedule to be irregular. Be consistent. Besides the fact that search engines love regularly updated websites, readers will love you for it too. By publishing on a consistent basis readers will look forward to reading your content. If you are new to blogging, pick one day where you will publish a new post and make the commitment of sticking to that. Don’t set the bar too high. Start off with one day and stick to it. I see too many bloggers copy and paste ideas and works of others without giving any credit. This is not a good way of building credibility. It’s very easy on the Internet to trace back to original sources and you will get called out on it. Give credit where credit is due. Mention the source where you got your idea or work from. Linking out to others is also not a bad idea. It is actually a great way to get on your fellow blogger’s radar and use that as a starting point to network with him or her. This issue not giving credit especially goes for using copyright images. Verify to make sure you can use the images in your posts. There are a lot of resources (like Flickr) to get free images as long as you credit the producer. Search for Creative Commons copyrighted images. You can use those images without the producer’s consent as long as you give credit to the producer. Nothing bugs a reader more than reading a post full with typos, grammar mistakes and a train of thought that does not go anywhere. You lose credibility and professionalism when your post contains a lot of typos and grammatical errors. Typos can easily be avoided by using a spell checker. Make it a habit to proof read every post before you publish it. Do it especially when you are not in a hurry and you can focus on proof reading. A good way to proof read is to read your post out loud and do the editing along the way. What is even better is if someone else can proof read your post. 0 Respones to "5 Bad Blogger Habits You Need to forget if you wanna become successful blogger"